Voting opened yesterday for the 2016 edition of DJ Magazine’s Top 100 DJs Poll and will close at 11.59pm BST on 14 September. The 2016 winner will be crowned at the Top 100 DJs Poll Awards on 19 October at Amsterdam’s Heineken Music Hall; the show is the opening night of AMF held during the Amsterdam Dance Event (ADE). The event will feature DJ sets from the magazine’s world No.1 DJ, and possibly some of the biggest names in dance music. The full rundown of the Top 100 DJs Poll will take place across DJ Mag’s Twitter and Facebook leading up to the No.1 reveal at midnight CET on 19 October. The magazine will then issue its special annual edition on 27 October. The Top 100 DJs Awards Party will then take place on 22 October at London’s O2 Brixton Academy. This year, the voting platform has been opened up to more territories, reflecting the new frontiers of international club culture. The app is now translated into Russian, Chinese (simplified) and Japanese, in addition to seven other global languages. Voters in China will be able to verify their vote using Weibo - China’s biggest social media platform. In another tweak of the voting mechanism, voters will be invited to answer a research question - ‘What is the most important factor when choosing your Top 100 DJs Poll vote?’. The multiple choice answers, which range from ‘DJ Ability’, to ‘Popularity’, will provide insight into what motivates those who cast their vote in 2016. 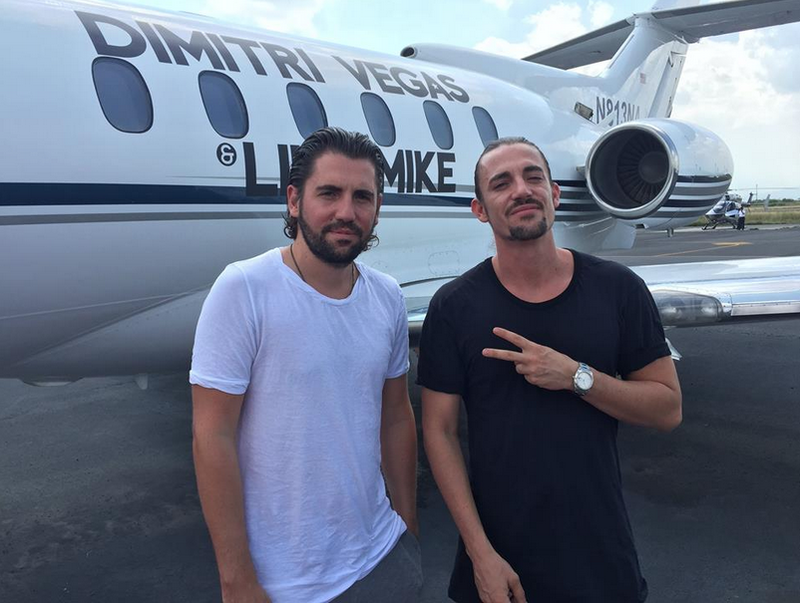 In 2015, the Top 100 DJs Poll saw Belgian’s Dimitri Vegas & Like Mike, become the first duo to win the annual Poll. 2015 saw 21 new entries, 3 re-entries, and 7 non-movers. Oliver Heldens was the Highest House DJ, up 22 places. Diplo moved into the Top 20, and also placed for his Jack U project (with Skrillex). Drum & bass had two of its leading lights in the Poll last year— Andy C and Netsky. Non-EDM DJs continued to have something of a revival, reflecting the fact that dance music fans from other styles vote. Disclosure was one of the highest new entries, while techno’s Richie Hawtin was up 39 places to No.51. Carl Cox held steady, Umek was up 5 and Flux Pavilion was a new entry at No.86. The list of names outside the Top 100, made for interesting reading too. Jamie Jones, Maceo Plex, Marco Carola, Sasha, Paul Kalkbrenner, Loco Dice, Flosstradamus and Fatboy Slim were all in the next 50 – despite not campaigning for votes. The Top 100 DJs Foundation (registered at the Dutch Chamber of Commerce No.61608947) is the official charity partner of Top 100 DJs. The foundation is an integral part of Top 100 DJs, enabling voters to engage in the causes that mean the most to them, and inviting dance music artists, DJs and fans to create a tangible and lasting impact. For 2016, the Top 100 DJs Foundation is working with ‘Mission Live Foundation’ and ‘The Ocean Cleanup’, all those interested must vote to find out more about how they can get involved.